In one of the most startling literary discoveries of recent years, Jack Zipes has uncovered this neglected treasure trove of Sicilian folk and fairy tales. Like the Grimm brothers before her, Laura Gonzenbach, a talented Swiss-German born in Sicily, set out to gather up the tales told and retold among the peasants. Gonzenbach collected wonderful stories - some on subjects that readers will know from the Grimms or Perrault, some entirely new - and published them in German. Her early death and the destruction of her papers in the Messina earthquake of 1908 only add to the mystery behind her achievement. 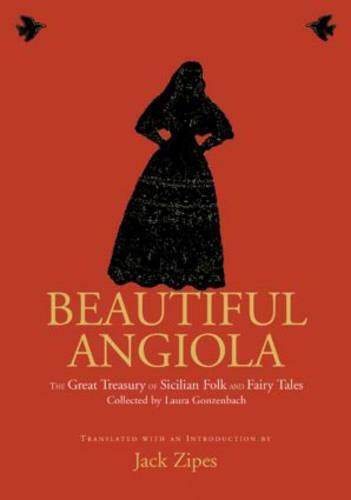 Beautiful Angiola is an instant classic: a nineteenth-century collection of stories in the great tradition of fairy and folk tales now translated into English for the first time. Gonzenbach delights us with heroines and princes, sorcery and surprise, the deeds of the brave and the treacherous, and the magic of the true storyteller. The Green Bird , The Humiliated Princess , sorfarina , The Magic Cane, the Golden Donkey, and the Little Stick that Hits are titles destine to become new favourites for readers everywhere. Yet while the stories enchant us, the wry taglines with which they often end ("And so they remained rich and consoled, while we keep sitting here and are getting old") gently bring us back to earth.